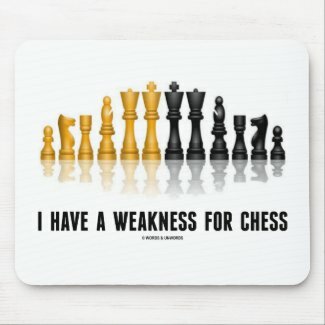 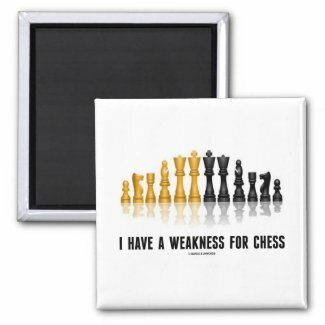 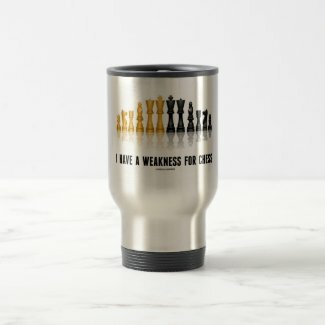 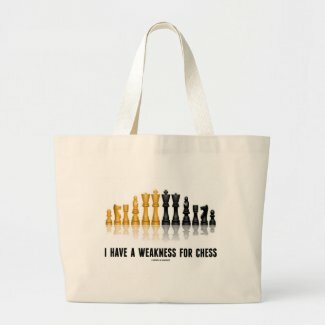 Chess player humor is alive and well on any of these gifts featuring a reflective chess set along with the saying that most avid chess players will agree with: "I Have A Weakness For Chess". 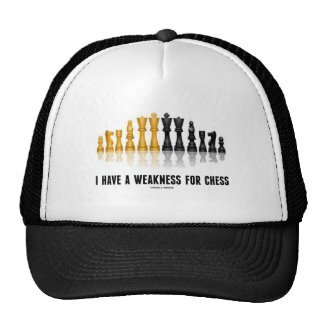 Memorable chess humor gifts for all -- especially for avid chess players who can't seem to resist a chess game! 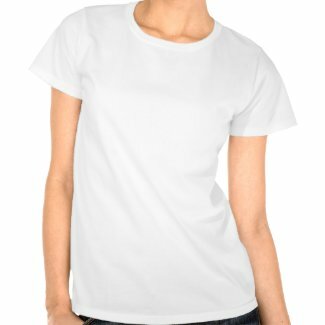 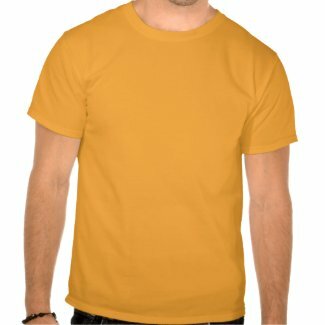 Make my own t shirt at Zazzle.